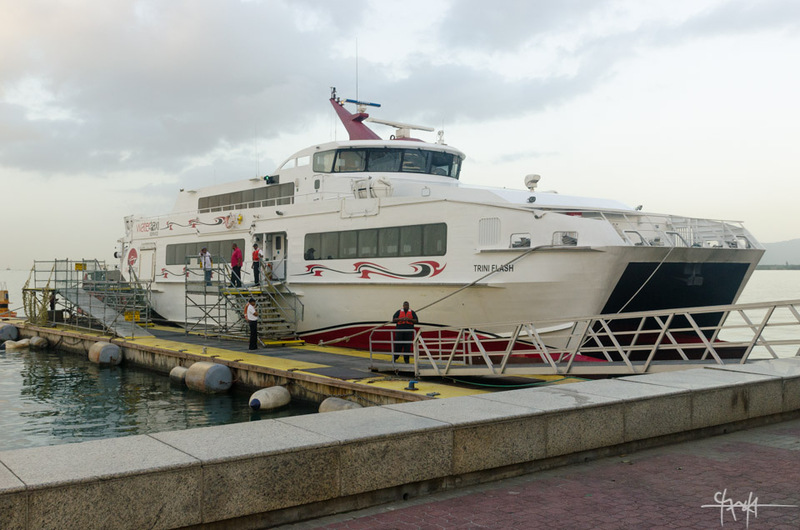 The Public Relations advisory said that the Trini Flash, the water taxi substituting for the T'n'T Express, was leaving Trinidad at 6 a.m. and departing Scarborough at 6 p.m. It seems that the said vessel did not make but 5 miles out to sea, before it shut down and began taking in water. But its toilets kept on working. In other words, Watson Duke covered more distance and took in less water than this vessel. We do not know what his draught is or the volume of his displacement. We have that data for his public utterances but not for his marine capacity. He did not have to summon the coast guard or worse yet the Corbeau Star. Oh shucks. Just hearing that they have sent the other water taxi to rescue the water taxi that...Oh Lawd! One can imagine the nightmare in broad daylight for these passengers. That the Coast Guard did arrive is to the sailors’ commitment. Thank God they do not have the Port Authority or Cabinet itself out shopping for Coast Guard boats. Were that the case the passengers would have had to do an Easter Jesus and walk on water to get home. Folks, even the talk show hosts were telling us that the water taxis were essentially inland/offshore vessels certainly not suited for such a route. That they travelled above the water and were not designed for rough open water. Port to Spain to San Fernando to Nelson Island. But Cabinet/Port Authority knows best in matters of water. Ask those residents who have not received a pipe borne supply for months, desalination plant or not. But the Tobago Jazz festival will come off month end. Who will be attending and how will they get there? Mariano probably thinks if we privatise the Coast Guard in time, bookings will skyrocket overnight. Additional flights have been put on the air bridge. So the air bridge is now handling the regular air passengers, the overflow from the sea bridge and the traditional Easter traffic. This is going to be a very hectic period between Piarco and the A.N.R Robinson airport. We hope and pray the aircraft literally stay up. What about the new vessel that is on its way from China/Japan/Cuba/Bora Bora/Icacos/Guave and outer New Hebrides? Outfitting a brand new ship takes time and time and time and time. One cannot rush these things. The vessel must be seaworthy before it begins to break down between Trinidad and Tobago and goes into dry dock within 3 months of its arrival. How will this end? Government will act decisively and open the route to private vessels. And Mariano Browne will be made a Rear Admiral of that fleet.